What is a musculoskeletal disorder (MSD) prevention specialist? You’ve probably heard of an ergonomist or ergonomics specialist. Ergonomics addresses the design of work: the actions, postures, and physical demands that are required to accomplish the job tasks. But ergonomics represents just a fraction of risk factors for workplace musculoskeletal disorders (MSD) and Worker Comp costs. Most ergonomists in the U.S. are design engineers, focusing primarily on job work design as both the risk and the solution. Physical therapists have a much wider view of MSD because we look at factors beyond job design. Physical therapists consider a wider collection of risks, such as worker behaviors, posture habits, body mechanics, and fitness-for-work issues. Such risk factors often exist regardless of ergonomic job design. One common example is forward head posture, which is typically a worker behavior, rather than a job design issue. While ergonomists often seek to create or encourage excellent posture, this overlooks the time exposure factor. Even excellent posture becomes a risk if it is sustained for long periods, due to unchanging joint loading and static muscle contraction. Additional worker risks include inadequate strength and flexibility. These make ergonomically correct jobs stressful when the weaker and stiffer musculoskeletal system cannot tolerate otherwise reasonable work demands. The effects of aging can also greatly magnify these risk. But we know that most of these MSD risk factors are highly reversible, even aging! And that is what makes PTs so good at the job of preventing workplace MSD. A PT who understands the wide scope of musculoskeletal function and dysfunction, and can deliver this knowledge to the workplace to address MSD risks and costs, is worth his or her weight in gold. Why is it a good option for PTs? No profession has more education on musculoskeletal function and dysfunction than physical therapy. Because of this, we can move workplaces to look beyond the limited scope of work design ergonomics, and to address critical and often overlooked—and usually more fixable—issues. These issues include workers’ body mechanics, posture health, and adequate fitness-for-work…and we treat these MSD issues in the workplace just like we would in the clinic. PT’s have traditionally been relegated to treating people in the clinic after they’ve already been injured on the job. Leaving the clinic to go to the workplace as an MSD prevention consultant allows us to actually do our best work before these injuries occur. After all, we all know it’s easier to prevent an injury than treat one. Wellness and prevention have often been considered physical therapy “orphan” services because third party insurance generally does not pay for such activities. But prevention services for industry are not insurance-based treatment interventions. They are strictly private-pay arrangements between the workplace and the consulting physical therapist. Prevention services can be high-demand, well-paid services that provide great value to the client workplace and its employees. What makes a successful MSD prevention specialist? Honestly, being a physical therapist. A successful MSD specialist is the one who takes the principles of clinical physical therapy and adapts those principles to the workplace, thereby helping to prevent musculoskeletal disorders. There really is no other profession out there that could do a better job in this role. Day One: Go to the workplace to view and assess workers doing their jobs. I’m looking to identify specific postures, movements, and loading that are risk factors for specific MSDs. Day Two: I provide a 2-hour mini-seminar to the managers and supervisors of the organization, where I present my findings and describe all of the tactics the company might need to consider to reduce that problem list. Days Three-Four: I present a series of 2-hour MSD School training sessions for all of the company employees. The objective is to make them experts on personal ergonomics skills, plus self care for the working and aging body. What are the pros of the role? Money: I get paid $300/hour for all onsite services. This fee is paid 100% by the workplace within 30 days, without any third-party billing or referral rules. Work from home, and no clinic overhead: Aside from the time you spend onsite, you’re able to do your work from anywhere. Plus, there’s also very little equipment needed. Unlimited clients: I work in Maine, where we have slightly more than 1 million people, but I’ve been to 600 workplaces since I started my business in 1982. Continued work: 90% of my client workplaces are now repeat customers. Many bring me back for updates and review services annually or bi-annually. Virtually no competition: Can you think of anyone else who is doing this, and doing it well, where you live? Flexible: It’s easy to control your schedule, be part-time, or take off a month or two here and there. I like to take a month off each summer and another each fall, mainly to focus on my own outdoor passions. You’re making a difference: This is a role where you can truly help many, many people. You will be spending your days teaching managers and workers how to avoid MSD injuries, claims, and costs. Our outcomes data show great reductions in MSD claims and costs for client workplaces. The need for this service is enormous: Worker Compensation claims for MSD are epidemic in many workplaces. The costs can be crippling to a business, sometimes threatening the very existence of the workplace and its jobs for the community. 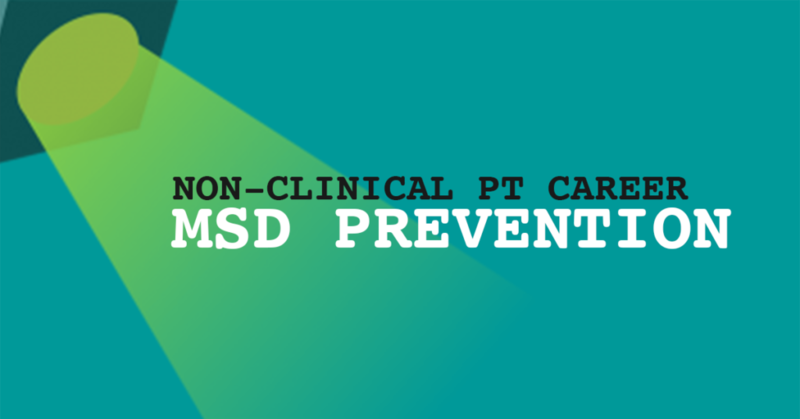 This service presents great opportunities to physical therapists willing to re-package their skills and knowledge to apply toward primary prevention of workplace MSD. What are the cons of this role? Marketing yourself: A successful workplace PT consulting practice must have an effective business structure and marketing plan. This cannot be emphasized enough! So many physical therapists are grossly ineffective at marketing themselves. This must change for our profession to survive. Marketing takes on a whole new level when it comes to workplace consulting. 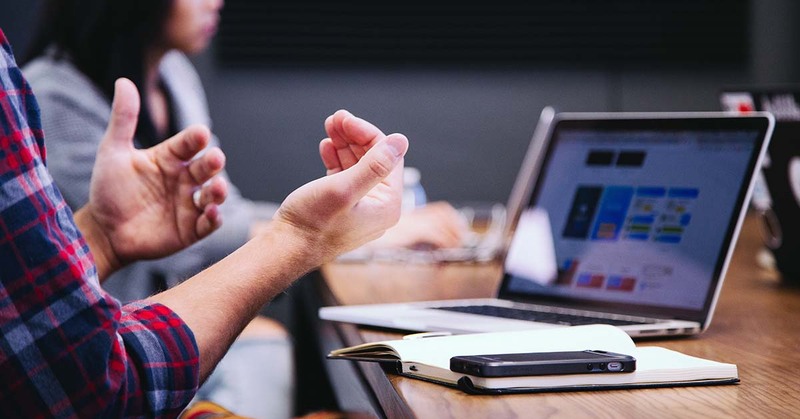 A full-time consulting practice may be described as three days per week of billable consulting services, supported by two days per week of marketing efforts. Leaving your comfort zone: Workplace consulting requires PTs to leave their comfort zone in the clinic. That can be intimidating when you’re used to ruling your clinical domain. MSD prevention specialists go to settings that are often very foreign to many therapists. They must also bring a completely different mindset, learning to observe workers working to visualize the MSD risk factors in real-time action. You’ll then be expected to conduct effective presentations to manager teams and worker groups. Many therapists fear they will not be effective in such a different setting with a new objective of preventing MSD. Most, however, end up pleasantly surprised to see just how easy this process can be. The MSD risk factors are usually quite obvious to the PT. The prevention interventions become equally obvious. The necessary knowledge base is identical to that needed to treat workers with these disorders in the clinic. Most PTs quickly discover this can be a highly successful activity. And if you’re afraid of public speaking or making presentations, this is an excellent chance to conquer that fear because the end results are very worth it. That usually takes only your first two or three initial MSD School presentations, leaving that issue conquered. How, exactly, should one market a MSD prevention business? The terminology herein is most critical. “Industrial physical therapist” is a unique term, and uniqueness gets clients’ attention. “Specializing in” implies a high level of competence. “Teaching the workplace” tells the client you seek to empower them to fix their own problems, which is what the client really wants. “Reduce claims and costs” implies a wider scope of attention than merely discussing injuries per se. We also discuss how to reduce their costs and return-to-work challenges, which are important sociopolitical and economic benchmarks the client workplace must address. What education do you need to pursue this route? The beauty of becoming a musculoskeletal disorder prevention specialist is that you need no extra certification or schooling to not only do this job, but to be really good at it. You will be shocked at how easy it is to spot MSD risks in the workplace, simply watching workers do their jobs. You already know that repeated or sustained shoulder reach will increase the risk of rotator cuff overuse, for example. Watch for the repetitive tasks, postures, and lack of positional changes, and you’re set. Editor’s note: if you prefer to take a course to have that boost of confidence, this MedBridge course on ergonomics provides an overview/refresher of common MSD and overuse injuries, as well as basic ergonomic principles. If you don’t have a MedBridge subscription, use code “nonclinicalPT” to receive 40% off your plan–you’ll get unlimited access to CEU courses! If someone wants to become a MSD prevention specialist, do you have any special advice? I have a blog specifically on this topic. Check it out! Where can someone find MSD prevention specialist jobs? I do not recommend that you work for a company. Instead, work for yourself, going from company to company. I typically work with two companies per month. We target smaller companies with around 25-200 employees, mainly because it’s much easier to market to them and schedule with them. You can find more articles about how to effectively market to those companies on my website. To whom it may concern, please advice on telecommuting clinical jobs or non clinical physical therapy job opportunities in Georgia.